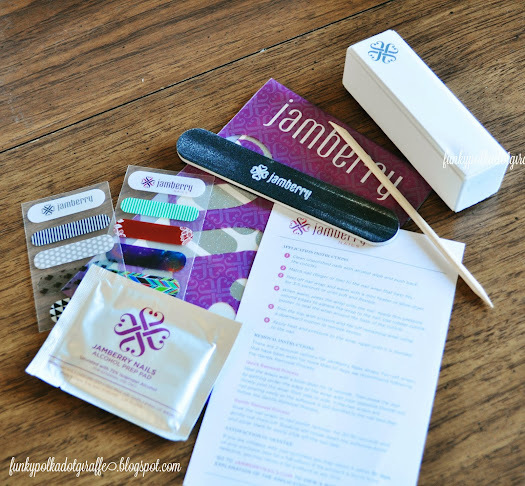 Disclosure: I received a set of Jamberry nail wraps from EnjoiNails to try. It is not a sponsored post. 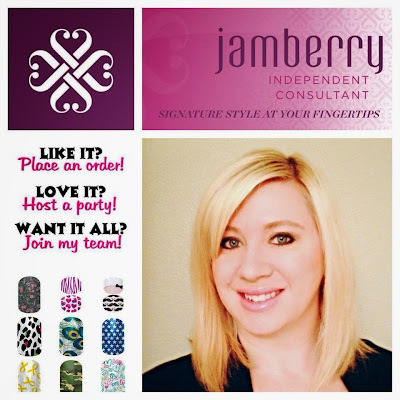 I was so excited when Joi contacted me with the opportunity to review Jamberry Nails. I had seen them around over the years, but never took the plunge to try them. set of nail wraps of my choice, along with some other samples to try out. that they wouldn't turn out like I watched the application video. had a better chance of doing a good job if I used my dominant hand first. but after I realized they went on just like they showed in the video, it was smooth sailing! I am completely thrilled with how they turned out! They are sparkly and fancy and I keep looking at them. 30+ minutes prepping, painting and drying between coats. JT up from school with no worries that my nails would smudge. 2. 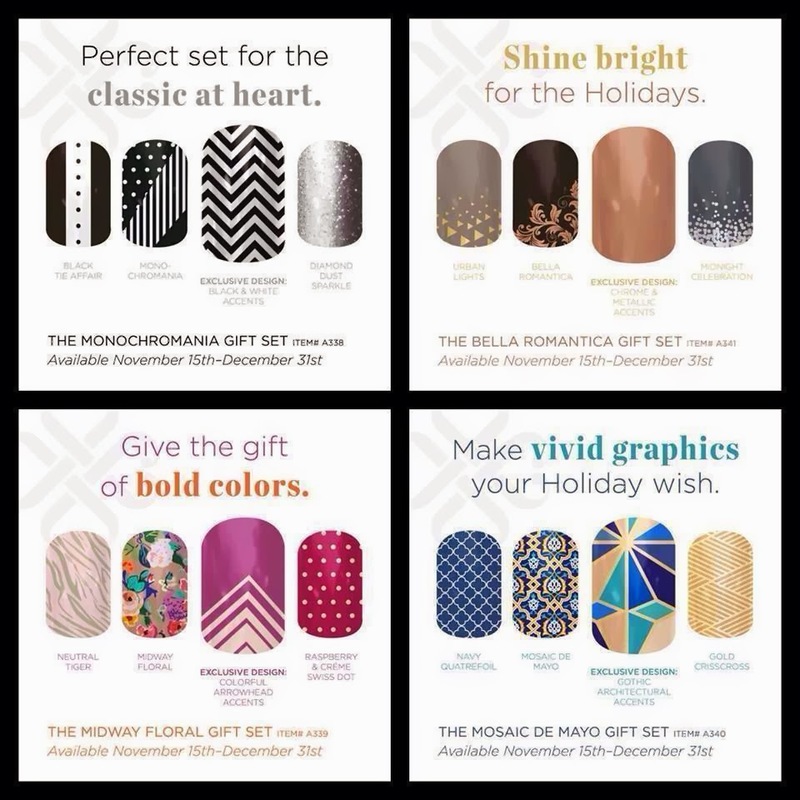 Amazing color and pattern options! There are so many, I don't even know where to start! I want them all. Even though I was nervous about using them, they were so easy! 1. More than two of the same nail wrap size. I'll have to alter one of the sizes left to fit my fingers. I know, I know. We always wants things cheaper. I think in theory if you can get 2-3 manicures out of a set, then that would be awesome..
salon and getting a manicure, you're saving a lot. 3. More sparkly color options. Silly, I know, but I love sparkles and I'd love more sparkly choices! My final word - I love them! to try them out and see how cool they are. If you're dying to try them too, then today is your lucky day! Enter below using the Rafflecopter widget and good luck! Or, if you can't wait - hop over to Joi's Jamberry site and buy yours today! they are all so pretty! I think I like porcelain best. at the moment anyways! I like the Prissy Plaid! Lots of fun styles! 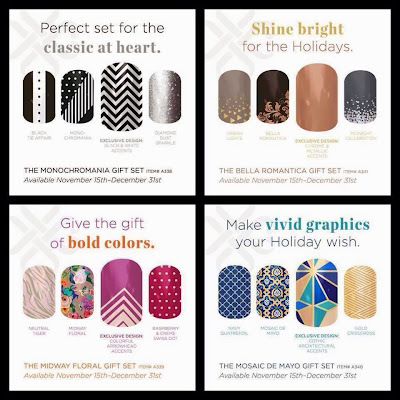 I totally want to try the french manicure wraps! I love the budding cobalt, and all of the florals! I love the leopard the best! I love the metallic croc and the pink tiger.